In the previous article, we talked about how demonetization of Rs 500 & 1000 currency notes was the result of an economic warfare between India and Pakistan. Here, we’ll talk about how this move has affected the common people in India. What did the government hope to achieve with demonetization of Rs 500 and 1000 notes apart from removing fake currency from circulation? Curbing terrorism funding : The revenue that Pakistan’s ISI generates from making and selling fake currency is primarily used to fund terrorist operations against India and used for providing monetary support to separatist movements within Indian borders. The government expects the demonetization move to hit hard on terrorism funding and hence establish law & order in conflict-ridden regions. War on black money : The black money menace in India is impacting the growth of our country on a truly large scale. Simply put, black money is money that has been illegally obtained or which has not been declared for tax purposes. The government loses a sizeable portion of its tax revenues to black money which can be otherwise used to fund developmental activities within the country. Black money is commonly stored as bundles of cash, usually of high denominations (Rs500 & Rs 1000), in the form of gold, real estate or foreign exchange. By removing the Rs 500 and Rs 1000 notes from circulation the government aims to crack down on black money stored as cash. Cashless Society : Another aim that the government wants to achieve is to make people rely more on cashless transactions and use digital wallets and their credit/debit cards for money transfer. This is a cause that is closely aligned with one among the current government’s core goals, i.e. Digital India Mission. The war on black money can only be truly won when the society as a whole stops using cash and goes cashless and this is what the government hopes to achieve too. How successful is the government in achieving these goals via demonetization? While the currency ban has gained popular support among most of the netizens of India who hail it as a masterstroke against fake currency and black money, the people in support mainly fall into the category upper middle class and the rich. This move has caused huge negative disruptions in the market and the economy because of poor implementation. 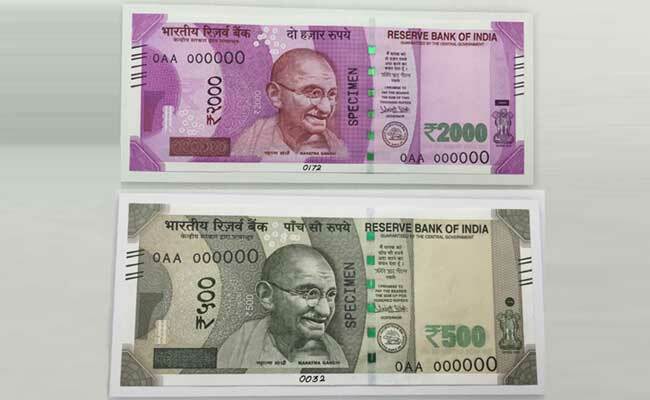 The two main poor implementational aspects are not mobilizing enough Rs 100 notes in the market and not introducing enough new Rs 2000 and Rs 500 notes in banks and ATM’s. The worst affected are the urban poor and the people in rural areas who form the majority of the daily wage labourers and earn their income via cash in the range Rs 100-300. As a case in example, in Delhi’s Azadpur mandi, one of Asia’s largest agricultural supply chain, the demonetization move has reduced daily business volumes by 50% to 70% ( by Rs 20-30 crore). It is the farmers, the daily wage labourers and small-scale traders and businessmen who bear the brunt of this loss and not the criminal elite. As for curbing conflict funding, the government seems to have effected a change on this front. 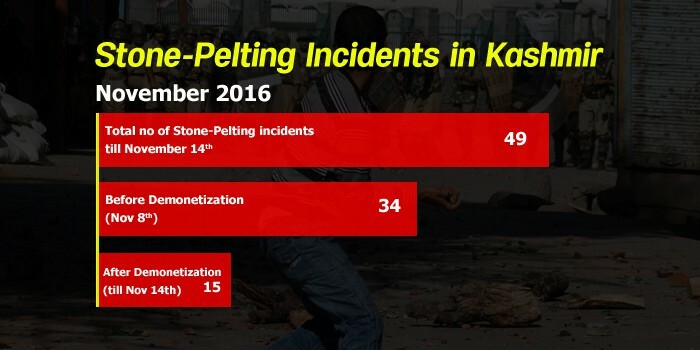 According to data from the Jammu and Kashmir home department, the number of stone-pelting incidents faced a sharp decline, by more than 50% in the month of November just after the announcement of the currency ban. Another small win for the government is that this initiative has spurred more people to rely on cashless means of spending, by adopting e-payment methods like Paytm, Mobikwik, Chillr, and Freecharge. The use of mobile wallets for payment of goods and services and the increased use of plastic cards for paying are a positive trend indeed. In fact, immediately after the days following the currency ban, Paytm witnessed more number of transactions happening across its platform than the combined daily average of credit cards and debit cards in India! However, the gains are marginal and the price too heavy to pay for these marginal gains. In a country where only 400 million people out of 1.2 billion own a bank account and 80% women don’t have a bank account, the push to make people go cashless seems a bit too soon. What we need before we can make our society go cashless is more smartphones, computers and better internet penetration in our country and providing quality education with increased focus on computer literacy. These are the things that need to happen, to see our society launch itself to electronic and digital payments which are the future of an efficient and clean economy. Also Read: Rs 500 & 1000 Note Ban: India’s Surgical Strike On Pakistan’s Economic Warfare?